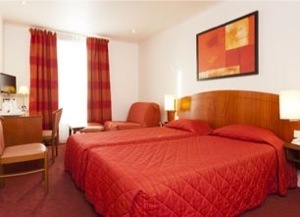 Located close to the Eiffel Tower, in a lively, shopping district, the Europe Hotel Paris is also close to the Parc des Expositions at the Porte de Versailles. This 3-star hotel offers rooms equipped with air conditioning, LCD TV via cable and satellite, Canal +, wifi connection, phone, minibar and safe deposit box. This hotel also features rooms reserved for disabled visitors.